Aaj Ka Panchang is a Panchang used to know about the auspicious muhurat in a day. Panchang or Panchangam is a Hindu Calendar Indians use to check panchang in order to find out good time to start any new venture. It is very important to check for the right time as per the favourable nakshatra and planetary alignments before commencing any new work. Here we have given you some special Muhurats defined for a particular day to help you find a special time. Panchang is a Vedic Calendar, which consists of five limbs. It is basically a process of obtaining time value in a tabular form. It consists of two words viz, 'Panch' and 'Ang'. Panch means 'Five' and 'Ang' means 'Limbs'. It has been derived by a Sanskrit word 'Panchangam'. The name of five limbs are Tithi, Vaar, Yog, Karan and Nakshatra. Vedic Astrology is basically divided into five fundamental parts, known as Panchang. Aaj Ka Panchang is a subpart of Panchang. It is used by astrologers to chalk out the auspicious time to commence any new work. It can be used to judge birth chart or natal chart. It's been known by different names in different regions of India. For example: Hindi Panchang in North India, Marathi and Gujarati Panchang in Western India, Telugu Panchangam, Kannada Panchangam, Tamil Panchangam in South India and Bengali Panchang in East India. Panchang is also based on Nakshatras reading in the sky. Today's Panchangam is a table that provides you with an auspicious moment to perform any task. It is in a tabular format containing important dates and times in it. These dates are arranged in a manner so that each and every muhurat can be checked easily. These are based on astrological and astronomical facts about Nakshatra, movement of planets and their alignment in certain sign and nakshatra. The calculation for finding an auspicious muhurat is to find the position of Moon in certain nakshatra or the placement of planet Moon in certain nakshatra in your natal chart. Other things taken into consideration while observing panchang are position or movement of planets, stars or nakshatra at a certain degree in certain sign. How these alignments are supposed to affect the life of a person at certain time period? It can be analysed by the proper reading of panchangam. 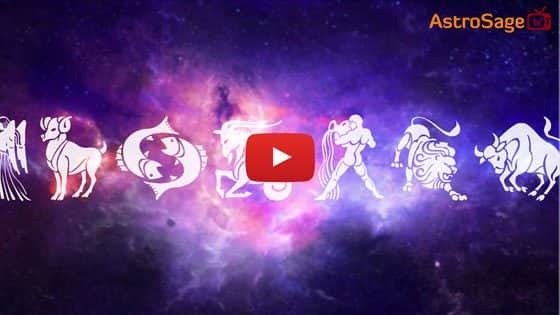 While casting a panchang, we need to understand first about the sidereal side of astrology in order to get an idea about position or movement of universal masses in certain sign and nakshatra. It includes a lot more mathematical calculation and perfect understanding of astronomical phenomenon. Aaj ka Panchang is used to calculate the tithi, vaar, yog, karan and nakshatra of a particular day of a week. It is also used to find an auspicious muhurat on that particular day. Day Panchang can be used to check the exact time for Marriage, griha pravesh, starting of any new work etc. Day Panchang can provide you an idea about the exact day timing to perform any task. It can provide you the timing for medicinal treatment such as what can be the suitable timing to start taking medicine in order to cure yourself. By doing that, you can get rid of disease very soon and easily. We can use Ephemeris also to check timing. It can provide you the monthly panchang including important dates and times. Hindu festivals are also based on the Panchang or the position of moon in certain sign and nakshatra. There are two pakshas defined in Vedic astrology. First paksha is Shukla or Bright Half and second paksha is Krishna or Dark Half. Both paksha has 15 tithis each. There are 30 tithis defined in Vedic astrology. If moon completes 12 degree in certain sign, then it will be one tithi of a particular month. Tithis are classified in 5 types in Vedic astrology viz, Nanda, Bhadra, Rikta, Jaya and Poorna. The time difference between one sunrise to next sunrise is known as 'Vaar or Day' of a week. These are seven in number what we have described below. The summation of Longitude of Sun and Moon divided by 13 degree and 20 minutes is known as Yog. Yog, itself, gives the meaning as sum of two or more than two things. There are 27 Yogs defined in Vedic Astrology. The half of tithi is known as Tithi. If tithis are 30 then definitely Karan will be 60 in number. These are two types: Movable and Fixed. Movable Karans are 7 in number viz Baav, Balav, Kaulav, Tatilya, Gara, Vaanij, Vishti and Fixed karans are 4 in number namely, Shakuni, Chatuspad, Naag, Kitughna. There are 27 Nakshatras in Astrology as well as Astronomy. It is also known as Stars.The name of 27 Nakshatras are as follows in sequence: Ashwini, Bharani, Krittika, rohini, Mrigshira, Ardra, Punarvasu, Pushya, Ashlesha, Magha, Poorva Phalguni, Uttar Phalguni, Hasta, Chitra, Swati, Vishakha, Anuradha, Jyeshtha, Mula, Poorva Ashada, Uttar Ashada, Sravan, Dhanistha, Shatbisha, Poorva Bhadrapad, Uttar Bhadrapad and Revati. ● Name of Months: Chaitra, Vaisakha, Jyeshtha, Ashadh, Sharavan, Bhadra, Ashwin, Kartik, Margasheersh, Paush, Maagh, Phagun. ● Name of Days: Ravivar or Sunday (Rule by Sun), Somvaar or Monday (Ruled by Planet Moon), Mangalvaar or Tuesday (Ruled by Mars), Budhwar or Wednesday (Ruled by Mercury), Guruvar or Thursday (Ruled by Jupiter), Shukravar or Friday (Ruled by Venus), Shanivaar or Saturday (Ruled by Saturn). ● It can be used for day to day finance related major transactions or important financial deals. ● It is used to find an auspicious time to perform any good act. ● It is advisable to check first panchang while purchasing or selling your assets. ● It can be used for finding a good time to wear a new gemstone or garment first time. ● It is used while finding the muhurat for yagnopavit or upnayan sanskar. ● It is used to find an auspicious time to get married. ● It can be used to find good time to construct the house or entering into new house. ● It is used to find muhurat for higher studies or long journeys related to profession. Therefore, Daily panchang is very important to check for an auspicious moment. It is good if you start any new venture in your birth nakshatra that can fructify you with better results in future.